Now retired, my last and favourite job was with Xpress Advocacy Service, part of a local charity, where I ran an interactive magazine ‘Xpress Yourself’ for children in care in East Sussex. This won the David St John Charitable Trust Newsletter/Magazine Award in 2005. 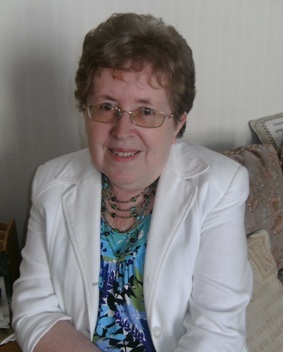 I am a Hastings & Rother U3A member, where I am editor of the quarterly newsletter. U3A groups I belong to include Musical Appreciation and Masters of World Cinema. Voluntary work includes weekly sessions at the HRVAB VIP Club (Visually Impaired or Very Important People!) and Talk and Support phone sessions for the Association of Carers. I also help at the Hastings Musical Festival in March, where I work as an adjudicator’s steward and timekeeper. I joined HWG many years ago and now enjoy the status of Honorary Life Member. Roles I have undertaken include: Committee Member; Secretary; Publicity Officer; Co-ordinator for outside competitions ie Legend Writing Award, David Gemmell Cup; Head of anthology editorial team (books produced include Diamonds: A Collection of Childhood Memories, Six of the Best, Ghost Writers and several issues of Strandline). My preference is for non-fiction, which I find comes more naturally, although I have tried some fiction in the past. My involvement in copy-editing and proofreading, and helping people to self-publish, led me to start work on an ebook ‘Make Your Manuscript Sparkle: a handy guide to polishing your writing’. It is planned that this will be out later in 2015.